This island is great, although The Mogul believes that the architecture is disappointing, restricting the backdrop to this stunning island design. So much more could have been achieved here! A project will always work best when the architect and kitchen designer collaborate. Fantastic Stools! wow, awesome post. great design, i really like it. 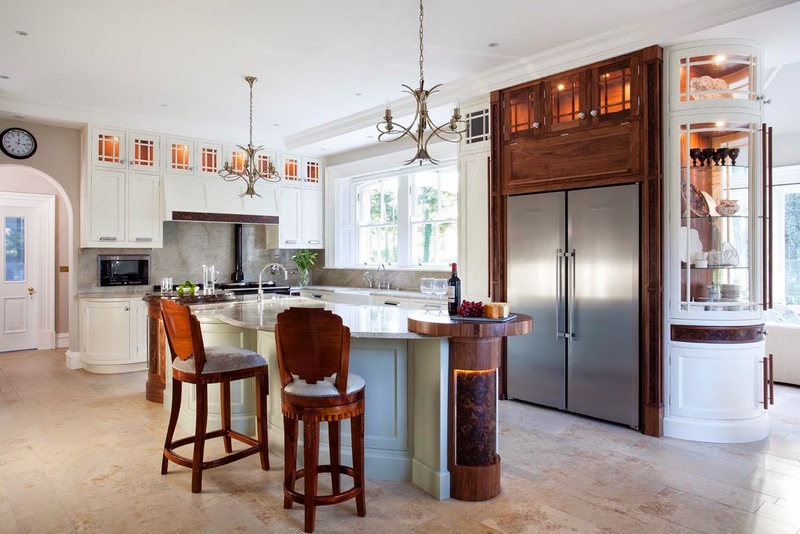 This island kitchen is really stunning and awesome. The countertop is lengthy and neat. The marble stone is strong and embedded into wooden blocks. The kitchen sinks and other materials are nice. 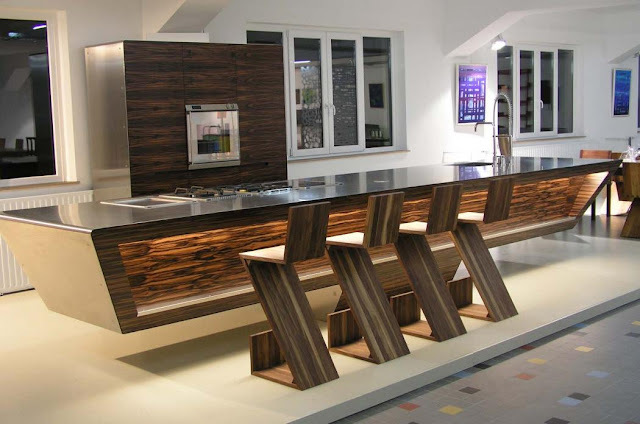 The furniture style is modern and trendy. Basically kitchen countertop surface material has different types of surfacing such as, Quartz Surfacing, Solid Surfacing, Marble, Granite, concrete and butcher block. Each surfacing has its own pros and cons.